John's Seacoast NH Real Estate Blog: Selling Your New Hampshire Home - Do You Have The Bait Required To Hook A Buyer? Selling Your New Hampshire Home - Do You Have The Bait Required To Hook A Buyer? 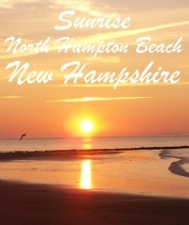 Potential buyers have a lot to choose from because many New Hampshire sellers currently have their hooks in the water. In order to get a buyer's attention, you need to dangle the right bait. Your house has to be attractive, appealing, and memorable. The secret is in the preparation. for sale will determine just how long you sit waiting for a bite and just how long your house sits on the market. You don't get a second chance at a great first impression. Once they swim by, buyers don't usually come back for a second look. Check out your competition and see what their MLS photos look like and then make sure that yours look better. It's really pretty simple: The one with the best bait wins the catch of the day! A professional Home Staging consultant will give you all the information you need to make your New Hampshire home more attractive to buyers. I enjoyed reading your post. Good advice for sellers. Thanks for sharing. That's a very creative post - excellent advice too! You speak the truth because you care and you know what buyers want. You are truly respected and I look up to you. Cute title! It certainly gets the attention of anyone thinking about lakes, water, fishing, etc. in NH! Great analogy Sharon! And cheap, stale & loosely prepared bait just falls off the hook too, so not all lures are created equally too! Oh now that is such a wonderfully fresh hook! Great information, wonderful analogy, and the graphics are fun too! Patricia: What a wonderful thing to hear...I appreciate that, thank you! Peggy: Good point, I hadn't even thought about that connection, LOL! Karen: No one is going to catch anything with "cheap, stale, and loosely prepared" bait! Laura: A fresh hook, I love it! Thank you! Great fun - love your graphics! Fisherpeople of all types are getting ready for the big Bluefish Contest here in CT! wonderful analogy Sharon! I love the cartoons! Great post Sharon, that gives sellers a simple and clearly-stated analogy to help them sell their home faster. Love your fun graphics too! The funny thing is that I was always the buyer who was looking for a property with absolutely no curb appeal since that was my specialty. I wanted ugly outside and gorgeous inside! I know I'm an anomaly though. Great graphics, love the analogy, and really right on target! Julie: Thanks...the boy with the house dangling on his line is one I created myself, combining two graphics. Alexandra: Simple is best, otherwise you won't get as many people to actually read it, LOL! Janice: Glad you enjoyed it, thanks! Maureen: I'm glad you liked it...I enjoyed creating the little fisherman. The "catch of the day" I loved when I saw it and just had to use it somewhere! Russel: You aren't alone, there are plenty of buyers looking for "no curb appeal"...they want a deal! Joanna: I hope my message hits home with sellers! Sharon, I hit suggest....today is the day all you stagers rock with creative Out_of_the Box analogies and visuals, Cudos! Professional staging put the bite on the hook. Ellen: I really appreciate that, thanks! Hi Sharon--How creative you are today! And right on with this. The fish are not stupid and easily fooled these days--only sellers are who don't prepare their homes properly. Janet: True, it's sellers with their heads in the sand that miss the opportunity for a catch! I was going to ask if you had created those graphics-great job with that! Love this post! I absolutely love your new header! Debra: Thank you, and Thank you! Marian: Just my luck, those fishermen will be exactly who I attract, LOL! I've dealt with plenty of "ornry" husbands, and they come around eventually!